By this point, you might be thinking the Switchblade sounds like some too-good-to-be-true infomercial for the current bike of the moment. The ShamWow/Ginsu knife of knobby-tired rigs. How could any single bike actually do and be all these things? Brace for it: The Switchblade is rocking a rear axle set up that you haven’t ridden before…at least not on anything outside a bike park. “Don’t call it a new standard,” says Chris Cocalis. He makes this point while squinting and frowning. A gaggle of us media hacks have just come off of two long days of pounding the hell out of the Switchblade on Mag 7 and the extended version of Porcupine Rim, and are now sitting around for the requisite Kool-Aid drinking portion of the press launch. I’m not a professionally-trained psycho-therapist, so I am, admittedly, simply guessing here, but I think there are two reasons why Pivot’s founder and engineer has suddenly gone sober and dead-eyed on us. For starters, he’s right: the 157x12-millimeter rear axle width on the Switchblade is not new. Anyone who’s looked closely at a downhill bike can tell you that. What is new here is that Pivot has used it on a bike that doesn’t require a chairlift. The other reason that Cocalis is making a point of pointing this out is that he knows full well that the Internet will go bat-**** crazy when it gets wind of a new axle standard. To be fair, I kind of did myself. Didn’t we just go to Boost 148 like, I don’t know…last friggin’ year? And besides, people are making a lot of impressive trail/all-mountain/enduro bikes without moving to another wider hub. Did they really need to do this? Pivot’s engineers were, like a lot of other manufacturers, stymied by flexy 29er 142x12 wheels. They struggled to make chainstays reasonably short while still fitting a front derailleur on a frame and getting it to clear the wider tires most of us want to ride. The advent of 1x drivetrains eased things up a bit in the rear triangle. Boost 148 helped even more—pushing the chainrings out a bit, granting even more breathing room for bigger tires on short chianstays and stiffening up the rear wheel by spreading the rear hub flanges out a bit, and improving the spokes’ bracing angle. Still, as a lot of people have pointed out…Why stop at 148 millimeters? 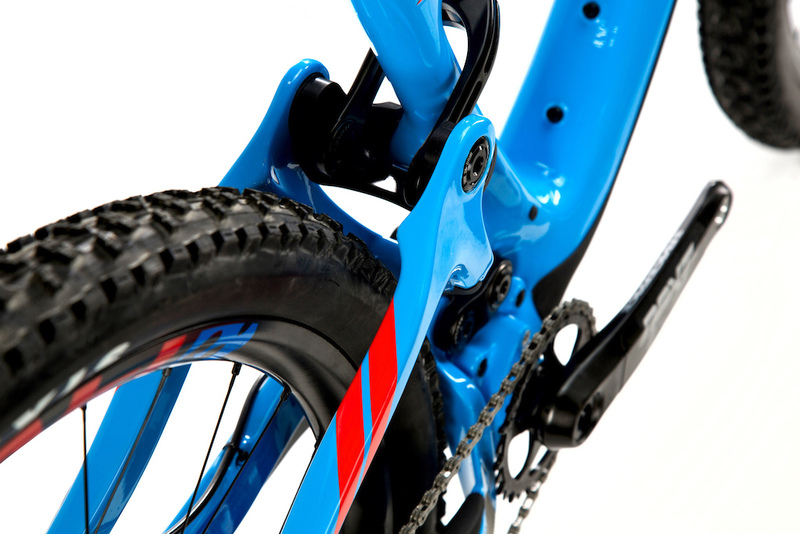 Why not go even wider, further improve that spoke angle and give even more breathing room between the chainstays? Why not just use downhill rear wheel spacing? People asked these things on the forums and the guys at Pivot asked themselves the same thing. Boost 148 helped them, sure. They admit they couldn’t have created the Mach 429 Trail or latest Mach 6 without it, but they wanted even more breathing room for that long-travel 29er project they’d been working on for so many years. Finally, Cocalis decided to build a new prototype using 157x12 spacing. He approached manufacturers, including DT Swiss and Industry Nine, about building a hub. Sure, he could use a regular downhill hub on the frame, but the flange spread on older DH hubs was narrower than that of Boost 148. It could be stiffer. 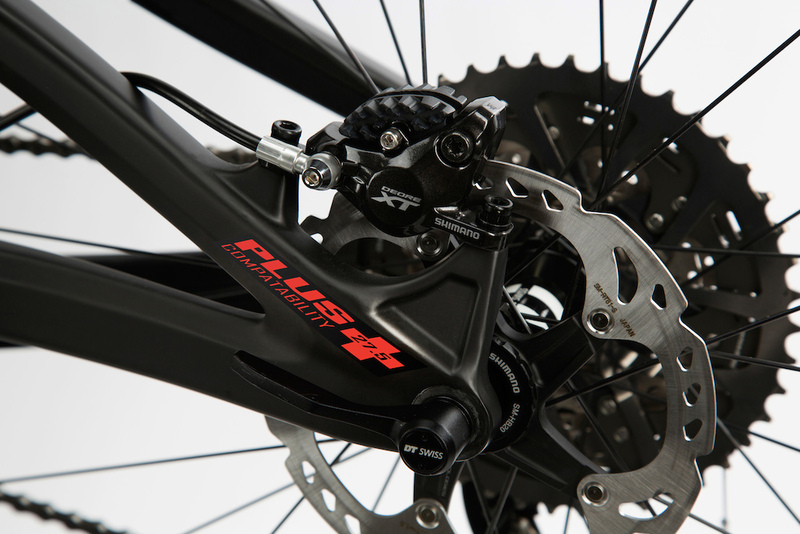 Using the existing 157mm DH axle and hub width future-proofs the Super Boost Plus concept. The brake rotor location, cassette location and hub spacing is interchangeable. The spoke flange spacing, however, has been increased by up to 14mm in the Super Boost Plus hubs. SRAM's new DH hub flanges are similarly spaced. Wider spoke flanges: The hubs that came about from Cocalis' urging have a significantly wider spread between the flanges which also better balances spoke tension between the drive and non-drive side. Holding the hubs in your hands, it’s obvious. We’re only talking millimeters here (as much as 14 millimeters), but in the world of bike design, millimeters matter. When Cocalis approached SRAM about making a hub they told him they’d been thinking the same thing too—in fact, they had one already in the works. Since then, the new XO DH hub has come out and, yes, it'll work here. 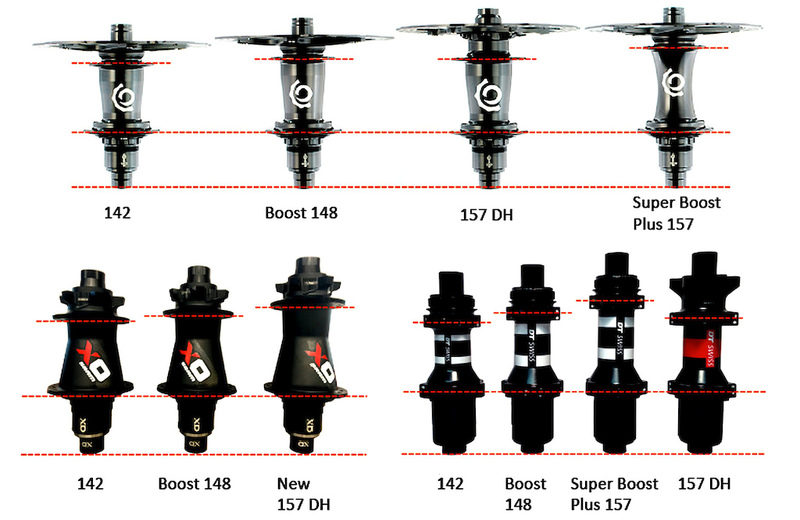 Q-Factor concerns: When Trek released Boost 148 in conjunction with SRAM, they answered the inevitable “Why not just use DH spacing instead?” question by saying that the resulting Q-factor would be horrendous for people pedaling all day. They also contended that ankle clearance would be scarce. Cocalis did, in fact, try putting DH cranks (with spacers) on his prototype rigs, but found himself hitting all sorts of things with his feet on his daily test runs—things he’d never smacked into during years of riding the same trails. On one technical chute on the rugged trails of South Mountain, near his Phoenix headquarters, Cocalis actually found himself suddenly wedged in. That wouldn’t do. Standard Cranksets: Pivot wound up addressing the chainline problem by focusing on the chainring. In essence, they needed more chainring offset. To that end, you can use a regular Race Face Aeffect SL or Turbine crankset on the Switchblade with the Race Face Narrow Wide 1x chainring flipped. Done. Problem solved. Race Face new Next SL cranks work with the system too, though you need to outfit it with one of Race Face’s custom interchangeable spindles since that particular crankset has a very low Q-factor to begin with. E-13 also has cranks that work with the system and Pivot is talking to SRAM and Shimano (among still others) about getting on board with crank/chainring options. In short, it’s moving forward. Future proof: Pivot is—half-jokingly— calling this 157x12 axle and non-DH crankset combination “Super Boost Plus 157.” It’s a name that will probably make anyone who just bought a Boost 148 bike see red. I have to admit, I banged my head against the wall when I got wind of this not long ago, but then I thought about it some more. There really is nothing new here. In an odd way, it’s the most retro way possible of making a stiffer rear wheel and a stiffer, shorter rear end with more tire clearance. You can absolutely run a new Switchblade frame with any old 157x12 hub. Just about every manufacturer already makes one. You wouldn’t, however, get the benefit of the extra wheel strength and stiffness provided by the wider flange spacing on Super Boost Plus 157 hubs, but the older hub would work. Likewise, you could use an older DH crank on the new frame. You might feel a bit bowlegged and you might smack your feet into more things while riding, but a lot of people probably might not even notice. Again, it'd work. Nor does Super Boost Plus 157 require a new type of crankset or bottom bracket. PF24 has been around for a long time now and the system would work with a regular 73-millimeter threaded shell. Plenty of existing cranks work fine. In short, what’s on this new Pivot really isn’t a “new standard”. Super Boost Plus 157 is just a new or, at least, novel way of using existing parts. Plenty of tire clearance for plus-sized tires, some of the shortest chainstays in the 29er world, stronger wheels and room to grow should someone add more cassette cogs in the future. While the Switchblade is joining a party that already has guests (the Santa Cruz Hightower and Ibis Mojo 3 immediately come to mind), I have to admit, it brings a few things to the party that other models don’t. How bored are bike engineers? I like it. Taking an existing standard, and adapting it. Dunno why it wasn't done instead of boost.